If the Eskimos have over 50 words for ‘snow’ then they should have a word with Northern Ireland’s Kris Meeke – he’ll be able to give them a few more after his adventures in Sweden today. Prior to the rally, conditions were looking good, until an expected mild spell changed the nature of the stages. 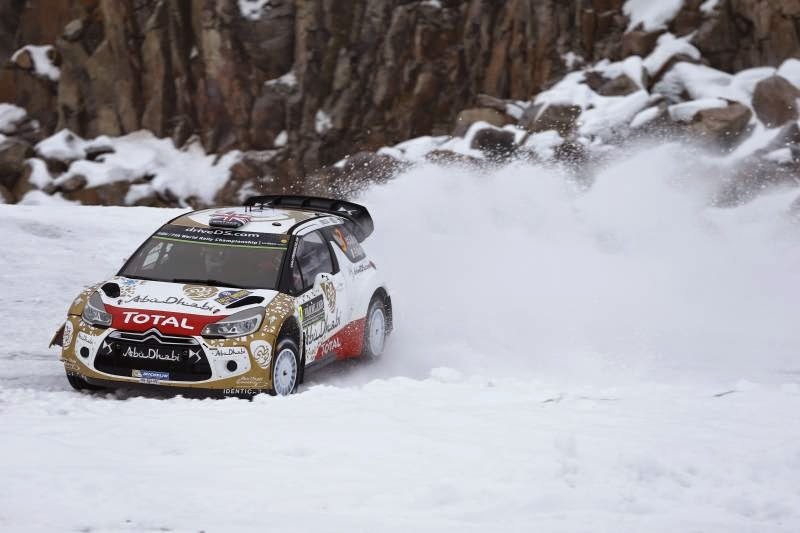 The warmer temperatures meant less snow and more humidity, handing an advantage to the early starters on the stages. On Thursday night’s opening test, this theory was confirmed when Pontus Tidemand took full advantage of his starting position to win the stage, beating all of the WRCs in his WRC2 Ford Fiesta! This morning, the thin layer of ice covering the roads at sunrise was gradually chipped away as crews completed the stages, leaving patches of gravel exposed on the racing line. Mads Østberg attempted to keep pace with his main rivals by setting a series of top-four times. Running eighth, Kris Meeke had to contend with even less consistent conditions. Sixth after SS6, he lost almost three minutes when he got stuck in a snow bank in this afternoon’s second loop.